If Jessica and Erik were a dessert, they'd be an apple pie buried in whipped cream and topped with cherries, sprinkles and chocolate chips. And I'd bet there'd be a heaping side of ice cream on the plate melting into the pie crust. In other words, they are ridiculously sweet. They adore each other and it's plain to see. If you recall their engagement session, Jessica and Erik have contagious smiles and a joyful innocence that makes you feel warm and fuzzy. I am so lucky to have been their wedding photographer and I hope life's adventures bring them back in front of my camera in the near future. 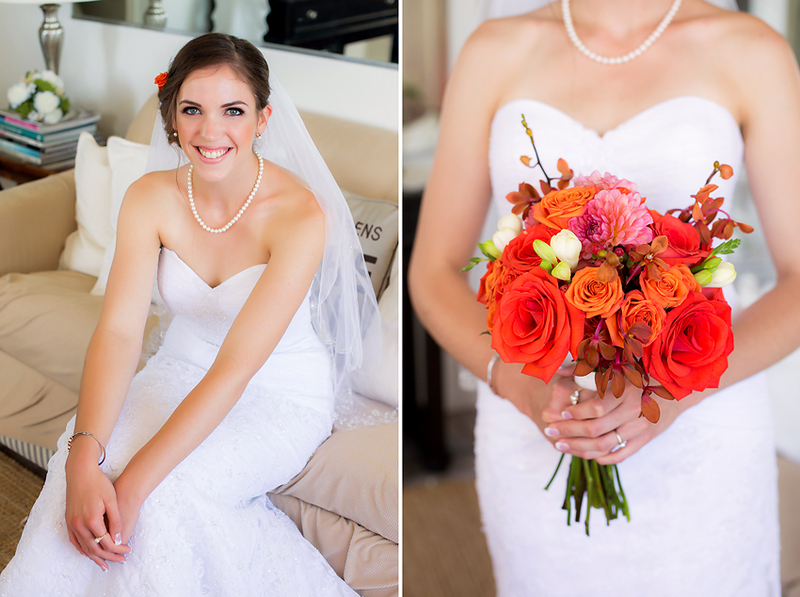 I'm thrilled to finally share some highlights from their wedding at Marina Village in San Diego. We were blessed with an amazing Southern California day at the bay and classic blue skies, for which Jessica's wedding color was a perfect match. I love how the coral and blue complement each other and how the coral conveniently ties in to this month's Blog Circle theme of "pink". Yes, coral is pink. At least it is today. Enjoy this peek into Jessica and Erik's wedding day and remember to visit Okinawa Japan Family Photographer Candace Castor Photography to see her interpretation of this month's theme. Once you check out her post, click on the next link and keep at it until you've made a full circle.